What is FairPlay DRM and How to Bypass FairPlay DRM? You may know Apple FairPlay, but have no idea what it is and how it works on iTunes media contents, such as TV shows, movies, music and ebooks. You may hate FairPlay DRM and would like to get rid of it. Here we would talk about what FairPlay is, how FairPlay works and how to remove FairPlay DRM protection. FairPlay, also known as Digital Rights Management (DRM), is an Apple-proprietary encryption scheme used to encrypt iTunes contents, including movies, TV shows, music videos, apps, ebooks, and more. In other words, FairPlay prevents iTunes customers from using the purchased iTunes content directly on any portable digital music player other than the Apple devices. FairPlay-protected files are regular MP4 container files with an encrypted AAC audio. To decrypt the encrypted iTunes files, you need a master key, which is encrypted by a random user key generated each time you buy or rent iTunes files. The user key would be stored on Apple's servers, which makes it possible to limit the number of computers that are authorized. That is to say, you are restricted to authorize up to five different computers to play FairPlay-protected files, which largely affects users satisfaction. 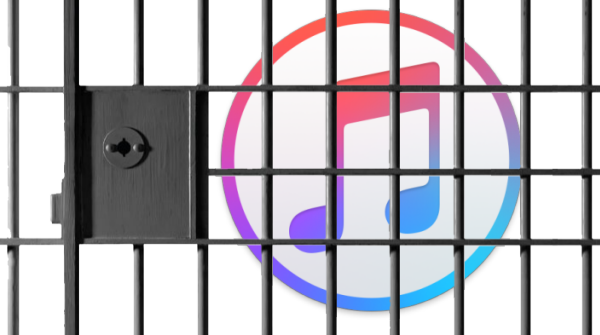 Is there any way to bypass Apple's FairPlay DRM protection? Since Apple FairPlay largely restricts the use of the iTunes media files, finding a FairPlay DRM Media Converter to strip FairPlay DRM protection form iTunes TV shows, movies, music, Audiobooks is a top priority. As iTunes Store has a large collection of HD TV shows and movies, many people choose to purchase or rent videos from iTunes. But, we all know that the majority of iTunes downloaded videos are encoded as M4V videos, which restricts iTunes videos from playing on any other non-Apple devices. What's worst, there are more limitations on iTunes rented videos, which only empower you 30 days from the time of rental to watch your video, and 24 hours (in the US) or 48 hours (elsewhere) after you've started viewing to finish it. In this case, It is absolutely necessary to find a FairPlay DRM Removal to free the iTunes DRM-ed M4V videos from any restriction. Among the existing FairPlay DRM Removal, NoteBurner iTunes FairPlay DRM Removal for Mac stands out for its conversion speed and conversion quality. It is designed to strip FairPlay DRM protection from all iTunes rented and purchased TV shows, movies and music videos. You can convert iTunes M4V videos at 20 times faster speed with all subtitles and AC3 5.1 audio track kept to DRM-free MP4, AVI, FLV and WMV. If you are running Windows OS, you can turn to NoteBurner FairPlay DRM Media Converter for Windows for help. Actually, Apple has made a wise decision and has already dropped DRM from iTunes music library since 2009. But, to our disappointment, the terrible DRM was returned with the introduce of Apple Music in WWDC 2015. Many people are looking forward to a new DRM removal to help remove DRM from Apple Music tracks and convert Apple Music to plain audio format, such as MP3, AAC, etc. 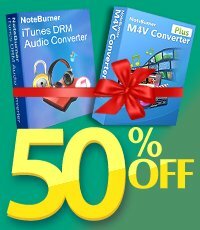 NoteBurner iTunes DRM Audio Converter (For Windows | For Mac) comes to rescue. This powerful Apple Music Converter not only can help you remove DRM from Apple Music songs, but also remove DRM from iTunes M4P music and audiobooks. You can enjoy maximum 20X faster conversion speed and 100% lossless conversion process with this all-in-one iTunes Audio Converter. Audiobooks create a new experience to enjoy iTunes mdeia files. If you download Audiobooks from iTunes, you would find that most downloaded Audiobooks are formatted as M4B, M4A. NoteBurner DRM Audiobook Converter can help you convert iTunes M4A, M4B Audiobooks to plain MP3, AAC formats with ID Tags and chapters information preserved. This M4A to MP3 Converter records audio streams in the background at 5X speed, which means you can convert a one hour audiobook in a few minutes. With NoteBurner Audiobook DRM Removal, you have more freedom to enjoy your iTunes Audiobooks. Learn More: How to Convert iTunes M4B Audiobook to MP3 Files? What's next? Download NoteBurner iTunes M4V FairPlay DRM Media Converter now!